In an effort to make trimethylaminuria testing as accessible and low-cost as possible to sufferers around the world, MEBO Research offers a Trimethylaminuria (TMAU) urine test to the international public. The MEBO TMAU urine test identifies whether the results are indicative of Primary or Secondary TMAU. The cost of the test is $150 plus round trip shipping cost. Unfortunately, some countries have not allowed payments from their national banks to Non-Profit Organizations (NPOs) or charities abroad, and others simply don't allow exporting body fluid samples from their country, so therefore, there are some restrictions as to which countries MEBO can ship the urine test to. At this time, the MEBO TMAU test program has been temporarily suspended and may resume in late June or early July 2016 due to construction delays. The electrical power must be turned off during construction, and consequently, it will not be possible to safely store samples. A notice will be posted in this blog as soon as the program is reinstated. Please excuse any inconvenience this may cause. 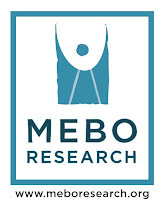 If interested in commencing the testing process, please fill out the online requisition form found at the MEBO website. Once I receive the application information, I will put you on the wait list and send you an email explanation of the testing process. Currently, the wait list has 235 applicants who are waiting to take the test. Since it is so long, I will first begin with the domestic (US) requests that are easier to set up and faster in the shipping process, and then I will work on the international requests.